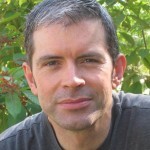 Rich Legrand founded Charmed Labs in 2002 to develop and sell innovative robotics-related designs, including the Xport Robot Kit, the Qwerk robot controller, the GigaPan robotic camera mount, and the Pixy vision sensor. He recently told us about his background, passion for robotics, and interest in open-source hardware. CIRCUIT CELLAR: Tell us a bit about your background. When did you first get started with electronics and engineering? 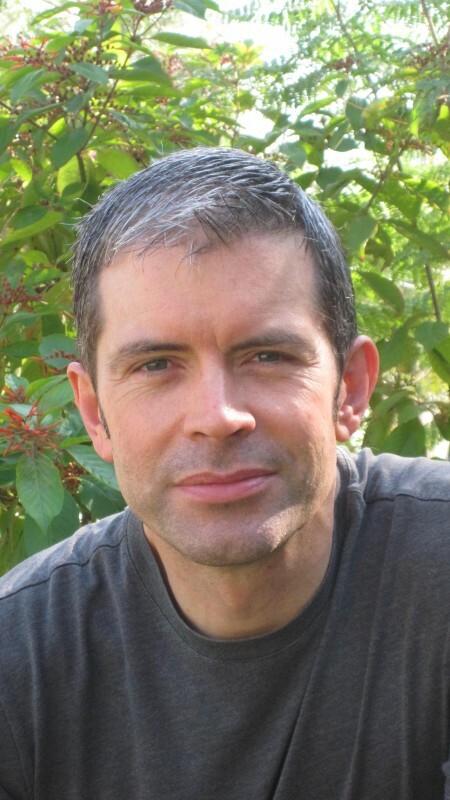 RICH: Back in 1982 when I was 12, one of my older brother’s friends was what they called a “whiz kid.” I would show up uninvited at his place because he was always creating something new, and he didn’t treat me like a snotty-nosed kid (which I was). On one particular afternoon he had disassembled a Big Trak toy (remember those?) and connected it to his Atari 800, so the Atari could control its movements. He wrote a simple BASIC program to read the joystick movements and translate them to Big Trak movements. You could then hit the return key and the Atari would play back the motions you just made. There were relays clicking and LEDs flashing, and the Big Trak did exactly what you told it to do. I had never seen a computer do this before, and I was absolutely amazed. I wanted to learn as much as I could about electronics after that. And I’m still learning, of course. CIRCUIT CELLAR: You studied electrical engineering at both Rice University and North Carolina State University. Why electrical engineering? RICH: I think it goes back to when I was 12 and trying to learn more about robotics. With a limited budget, it was largely a question of what I get my hands on. Back then you could go into Radio Shack and buy a handful of 7400 series parts and create something simple, but pretty amazing. Forrest Mims’s books (also available at Radio Shack) were full of inspiring circuit designs. And Steve Ciarcia’s “Circuit Cellar” column in Byte magazine focused on seat-of-the-pants electronics projects you could build yourself. The only tools you needed were a soldering iron, a voltmeter, and a logic probe. I think young people today see a similar landscape where it’s easier to get involved in electrical engineering than say mechanical engineering (although 3-D printing might change this). The Internet is full of source material and the hardware (computers, microcontrollers, power supplies, etc.) is lower-cost and easier to find. The Arduino is a good example of this. It has its own ecosystem from which you can launch practically any project or idea. CIRCUIT CELLAR: Photography factors in a lot of your work and work history. Is photography a passion of yours? RICH: I don’t think so, but I enjoy photography. Image processing, image understanding, machine vision—the idea that you can extract useful information from a digital image with a piece of software, an algorithm. It’s a cool idea to me because you can have multiple vision algorithms and effectively have several sensors in one package. Or in the case of Gigapan, being able to create a gigapixel imager from a fairly low-cost point-and-shoot camera, some motors, and customized photo stitching software. I’m a hardware guy at heart, but hardware tends to be expensive. Combining inexpensive hardware with software to create something that’s lower-cost—it sounds like a pretty niche idea, but these are the projects that I seem to fall for over and over again. Working on these projects is what I really enjoy. CIRCUIT CELLAR: Prior to your current gig at Charmed Labs, you were with Gigapan Systems, which you co-founded. Tell us about how you came to launch Gigapan. RICH: Gigapan is robotic camera mount that allows practically anyone with a digital camera to make high-resolution panoramas. The basic idea is that you take a camera with high resolution but narrow field-of-view (high-zoom) to capture a mosaic of pictures that can be later stitched together with software to form a much larger, highly-detailed panorama of the subject, whether it’s the Grand Canyon or the cockpit of the Space Shuttle. This technique is used by the Mars rovers, so it’s not surprising that a NASA engineer (Randy Sargent) first conceived Gigapan. Charmed Labs got a chance to bid on the hardware, and we designed and manufactured the first Gigapan units as part of a public beta program. (The beta was funded by Carnegie Mellon University through donations from NASA and Google.) The beta garnered enough attention to get investors and start a company to focus on Gigapan, which we did. We were on CNN, we were mentioned on Jay Leno. It was a fun and exciting time! The first Xport was a simple circuit board with flash for program storage and an FPGA for programmable I/O. CIRCUIT CELLAR: In a 2004 article, “Closed-Loop Motion Control for Mobile Robotics“ (Circuit Cellar 169), you introduced us to your first product, the Xport. How did you come to design the Xport? RICH: When the Gameboy Advance was announced back in 1999, I thought it was a perfect robot platform. It had a color LCD and a powerful 32-bit processor, it was optimized for battery power, and it was low-cost. The pitch went something like: “For $40 you can buy a cartridge for your Gameboy that allows you to play a game. For $99 you can buy a cartridge with motors and sensors that turns your Gameboy into a robot.” So the Gameboy becomes the “brains” of the robot if you will. I didn’t know what the robot would do exactly, other than be cool and robot-like, and I didn’t know how to land a consumer electronics product on the shelves of Toys “R” Us, so I tackled some of the bigger technical problems instead, like how to turn the Gameboy into an embedded system with the required I/O for robotics. I ordered a Gameboy from Japan through eBay prior to the US release and reverse-engineered the cartridge port. The first “Xport” prototype was working not long after the first Gameboys showed up in US stores, so that was pretty cool. It was a simple circuit board that plugged into the Gamboy’s cartridge port. It had flash for program storage and an FPGA for programmable I/O. The Xport seemed like an interesting product by itself, so I decided to sell it. I quit my job as a software engineer and started Charmed Labs. CIRCUIT CELLAR: Tell us about the Xport Botball Controller (XBC). RICH: The Xport turned the Gameboy into an embedded system with lots of I/O, but my real goal was to make a robot. So I added more electronics around the Xport for motor control, sensor inputs, a simple vision system, even Bluetooth. I sold it online for a while before the folks at Botball expressed interest in using it for their robot competition, which is geared for middle school and high school students. 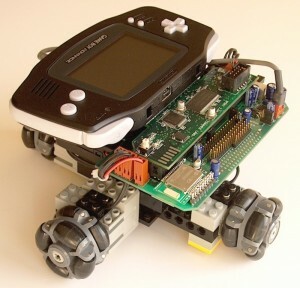 Building a robot out of a Gameboy was a compelling idea, especially for kids, and tens of thousands of students used the XBC to learn about engineering—that was really great. I never got the Gameboy robot on the shelves of Toys “R” Us, but it was a really happy ending to the project. CIRCUIT CELLAR: Charmed Labs collaborated with the Carnegie Mellon CREATE Lab on the Qwerk robot controller. How did you end up collaborating with CMU? RICH: I met Illah Nourbakhsh who runs the CREATE lab at a robot competition back when he was a grad student. His lab’s Telepresence Robotics Kit (TeRK) was created in part to address the falling rate of computer science graduates in the US. The idea was to create a curriculum that featured robotics to help attract more students to the field. Qwerk was an embedded Linux system that allowed you make a telepresence robot easily. You could literally plug in some motors, a webcam, and a battery, and fire up a web browser and become “telepresent” through the robot. We designed and manufactured Qwerk for a couple years before we licensed it. CIRCUIT CELLAR: Pixy is a cool vision sensor for robotics that you can teach to track objects. What was the impetus for that design? 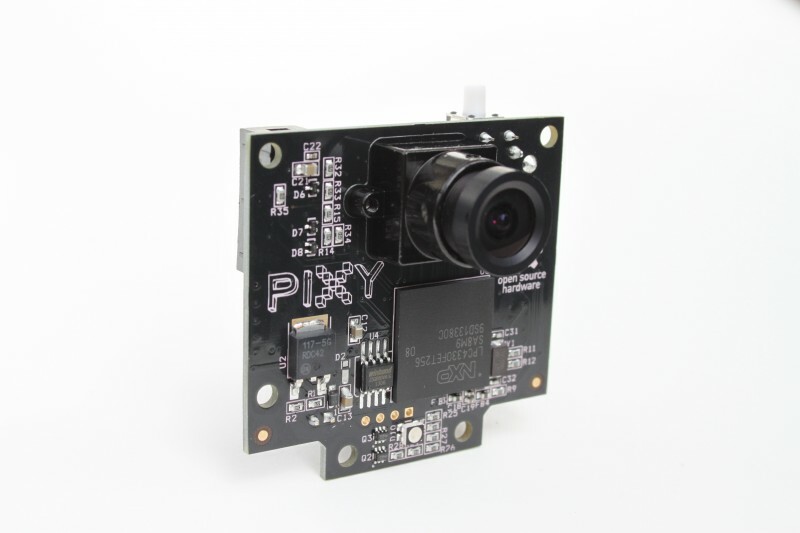 RICH: Pixy is actually the fifth version of the CMUcam. 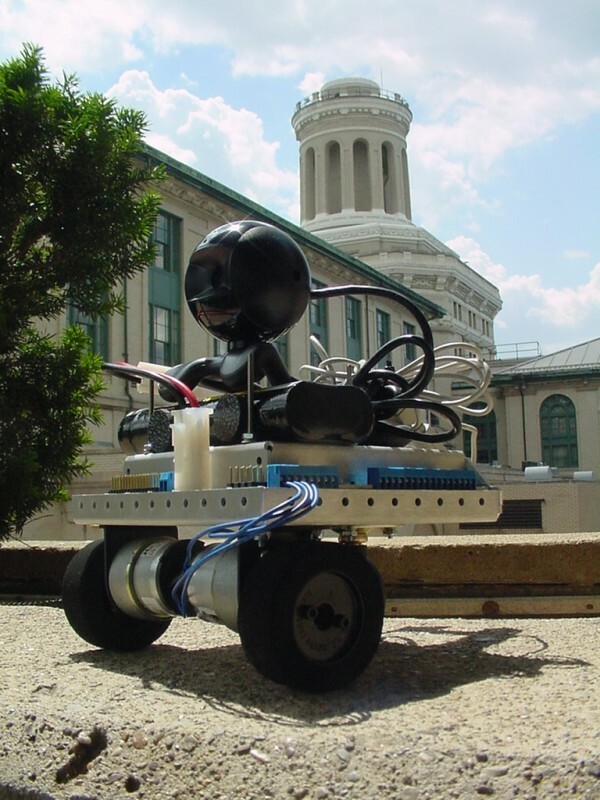 The first CMUcam was invented at Carnegie Mellon by Anthony Rowe back in 2000 when he was a graduate student. I got involved on a bit of a lark. NXP Semiconductors had just announced a processor that looked like an good fit for a low-cost vision sensor, so I sent Anthony a heads-up, that’s all. He was looking for someone to help with the next version of CMUcam, so it was a happy coincidence. CIRCUIT CELLAR: You launched Pixy in 2013 on Kickstarter. Would you recommend Kickstarter to Circuit Cellar readers who are thinking of launching a hardware product? RICH: Before crowdfunding was a thing, you either had to self-fund or convince a few investors to contribute a decent amount of cash based on the premise that you had a good idea. And the investors typically didn’t have your background or perspective, so it was usually a difficult sell. With crowdfunding, a couple hundred people with similar backgrounds and perspectives contribute $50 (or so) in exchange for becoming the very first customers. It’s an easier path I think, and it’s a great fit for products like Pixy that have a limited but enthusiastic audience. I think of crowdfunding as a cost-effective marketing strategy. Sites like Kickstarter get huge amounts of traffic, and getting your idea in front of such a large audience is usually expensive—cost-prohibitive in my case. It also answers two important questions for hardware makers: Are enough people interested in this thing to make it worthwhile? And if it is worthwhile, how many should I make? But I really didn’t think many people would be interested in a vision sensor for hobbyist robotics, so when faced with the task of creating a Kickstarter for Pixy, I thought of lots of excuses not to move forward with it. Case in point—if your Kickstarter campaign fails, it’s public Internet knowledge. (Yikes!) But I’m always telling my boys that you learn more from your mistakes than from your successes, so it seemed pretty lame that I was dragging my heals on the Kickstarter thing because I wanted to avoid potential embarrassment. I eventually got the campaign launched, and it was a success, and Pixy got a chance to see the light of day, so that was good. It was a lot of work, and it was psychologically exhausting, but it was really fun to see folks excited about your idea. I’d totally do it again though, and I’d like to crowdfund my next project. CIRCUIT CELLAR: Can you tell us about one or two of the more interesting projects you’ve seen featuring Pixy? RICH: Ben Heck used Pixy in a couple of his episodes of the Ben Heck Show (www.element14.com/community/community/experts/benheck). He used Pixy to create a camera that can automatically track what he’s filming. And Microsoft used Pixy for an Windows 10 demo that played air hockey IR-Lock (www.irlock.com) is a small company that launched a successful Kickstarter campaign that featured Pixy as a beacon detector for use in autonomous drones. All of these projects have a high fun-factor, which I really enjoy seeing. CIRCUIT CELLAR: What’s next for Charmed Labs? RICH: I’ll tell you about one of my crazier ideas. My wife gets on my case every holiday season to hang lights on the house. It wouldn’t be that bad, except our next-door neighbors go all-out. They hang lights on every available surface of their house—think Griswolds from the Christmas Vacation movie. So anything I do to our house looks pretty sad by comparison. I’m competitive. But I had the idea that if I created a computer-controlled light show that’s synchronized to music, it might be a good face-saving technology, a way to possibly one-up the neighbors, because that’s what it’s all about, right? (Ha!) So I’ve been working on an easy-to-set-up and low-cost way to make your own holiday light show. It’s way outside of my robotics wheelhouse. I’m learning about high-voltage electronics and UL requirements, and there’s a decent chance it won’t be cost-competitive, or even work, but my hope is to launch a crowdfunding campaign in the next year or so. CIRCUIT CELLAR: What are your thoughts on the future of open-source hardware? RICH: We can probably thank the Arduino folks because before they came along, very few were talking about open hardware. They showed that you can fully open-source a design (including the hardware) and still be successful. Pixy was my first open hardware project and I must admit that I was a little nervous moving forward with it, but open hardware principles have definitely helped us. More people are using Pixy because it’s fully open. If you’re interested in licensing your software or firmware, open hardware is an effective marketing strategy, so I don’t think it’s about “giving it all away” as some might assume. That is, you can still offer closed-source licenses to customers that want to use your software, but not open-source their customizations. I’ve always liked the idea of open vs. proprietary, and I’ve learned plenty from fellow engineers who choose to share instead of lock things down. It’s great for innovation. On a different robot, a flapping winged ornithopter, we had this PC104 computer running matlab as the controller. It probably weighed about 2 pounds, which forced us to build a huge wingspan – almost 6 feet. We dreamed about adding some machine vision to the platform as well. Having just built a vision-based robot for MIT’s MASLAB competition using an FPGA paired with an Arduino – the PC104 solution started to look pretty stupid to me. That was what really got me interested embedded work. FPGAs and Microcontrollers gave you an insane amount of computing power at comparatively minuscule power and weight footprints. And so died the PC104 standard. This interview appears in Circuit Cellar 305 (December 2015). This entry was posted in CC Blog, Interviews and tagged interview, IoT, prototype, robotics by Circuit Cellar Staff.